Your spinal cord is your body’s health communication highway; but most people know very little about it. As a chiropractor, it is my responsibility to help you understand the spinal secrets to better health. Your nervous system consists of the spinal cord and brain. The spinal cord enables the brain to communicate with the body. When your spinal cord gets injured the communication between the body and brain is affected, sometimes drastically. Muscles have voluntary and involuntary movements. Some examples of voluntary movements are using your hands and arms to open a window, and turn on a light. You perform these types of activities after thinking about it. Involuntary movements are those that happen without your need to consciously think about it such as: the beating of your heart and breathing (two very important things!). But if your spine is out of alignment, it will affect your voluntary and involuntary movements. This is yet another shocking secret about your spine. Don’t worry about it too much, it is completely natural. As you age the space between your spinal discs become smaller and the discs themselves start to dry out. However with proper chiropractic care you can slow this progress and keep your mobility longer. 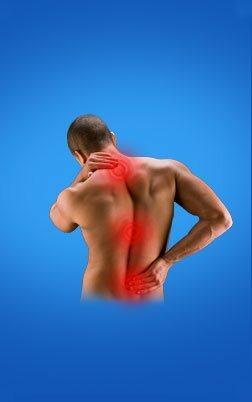 When you suffer from intense pain, the neurons in your spinal cord send signals to the nerves of the affected area. Even after a few days, you will find that area to still be sensitive. It shows that your spinal cord can record different instances of pain because of the molecule known as PKMzeta. Yes, 31 of them! A pair of nerves passes through each segment, which consists of 1 coccygeal nerve, 5 sacral, 5 lumbar, 12 thoracic, and 8 cervical nerves. Shocking spinal secret – you had more bones as a baby! When you are born you actually have 33 bones. However as you grow into an adult 7 of the sacral bones fuse together reducing the overall count to just 26. Your spinal cord is how signals are sent to your sweat glands from your brain. Only after receiving these signals do your sweat glands produce sweat to cool your body. That is why in some spinal cord injuries, some people are unable to cool themselves by sweating because the signals never make it to the right place. Without sweat your body can easily and quickly overheat. There are even more spinal secrets to share with you. Give me a call or visit our website to see how important your spine is to your overall health. Knowing more about your body will help you stay healthy and live longer.